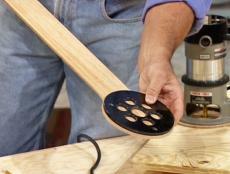 Use a plywood backboard as the base of the unit. 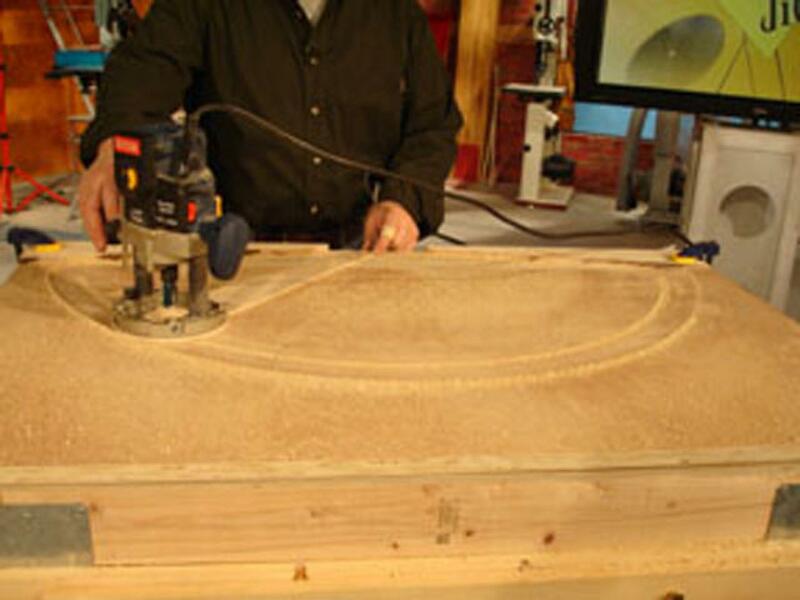 This will be the piece the radius is cut into. 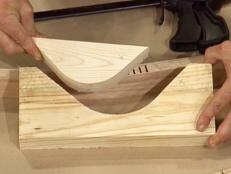 The plunge router is set into one end of a swinging arm. The other end of the arm is attached to a board. 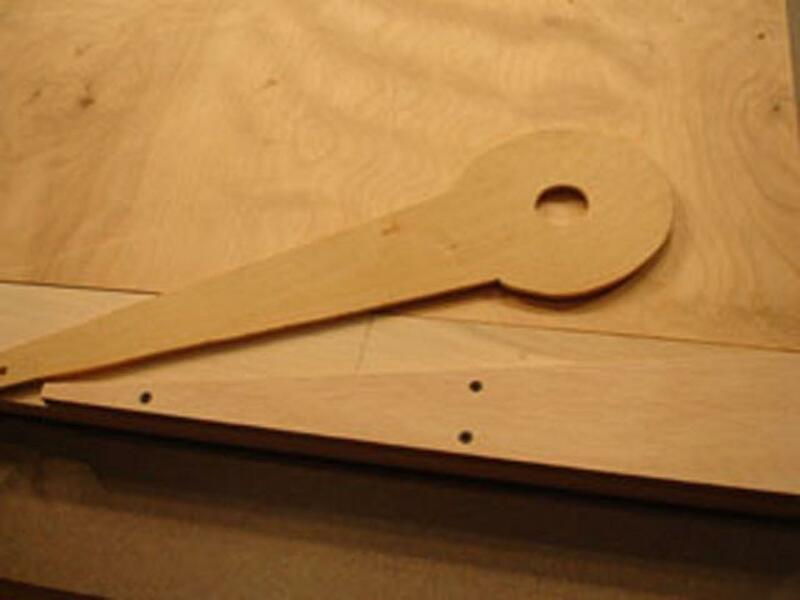 That end is the pivot point for the swinging arm. 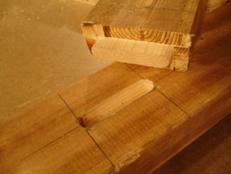 Several holes are cut into the arm one inch apart, allowing the user to use the jig for several different radii. 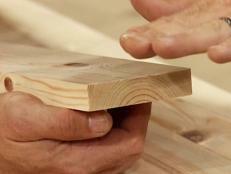 Cut a piece of 1 x 4 the same length as the base. 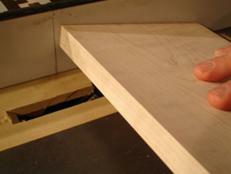 Two boards cut at an angle act as stops on either side of the arm. 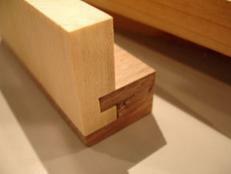 Attach them to the piece of 1 x 4. 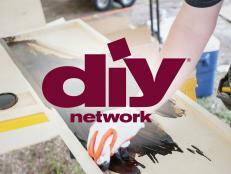 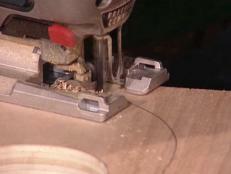 Use a band saw to cut the arm from 1/4" plywood. 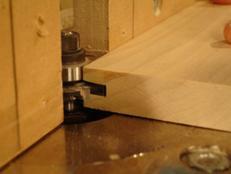 Make sure the head of the arm is the appropriate size for the base of the router. 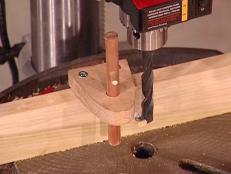 Use a Forstner bit to cut the hole for the router bit in the head of the arm. 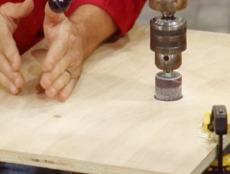 Drill holes 1" apart into the base of the arm. 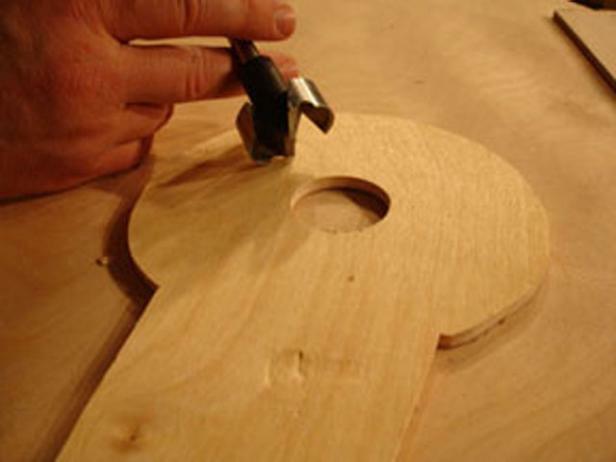 Attach the arm to the center of the piece of 1 x 4 with a bolt and washer. The arm should be secure, but not permanent. 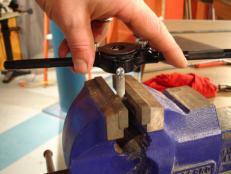 Loosen the bolt to make a different size radius using another hole in the arm. 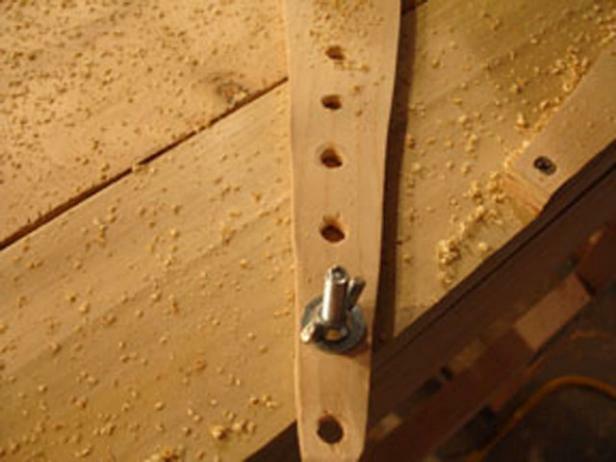 Place the router on the arm and turn it on. 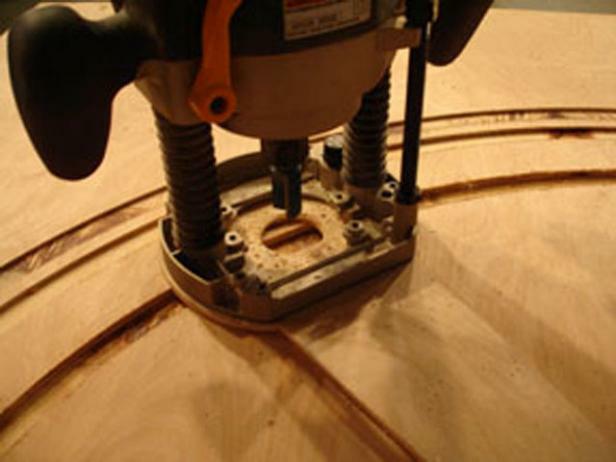 Swing the arm to make a radius cut in the plywood.